It was a case of better late than never as we only recently came across the M&S Summer of Flavour range. Unfortunately our nearest Marks and Spencer’s is a good 45 minutes from our home but we called in recently to their Lisburn store when out for a day trip and were really impressed with some of the great produce on order, none more so than their Summer of Flavour range. With such an awesome range of meat stirring back at us from the fridge, we just had to go get some! Summer may be over, but the party can still continue with M&S (well at least until an even bigger party kicks off at Christmas). If you’ve never tried beer can chicken, you don’t know what you’re missing out on, especially when cooked on the BBQ. 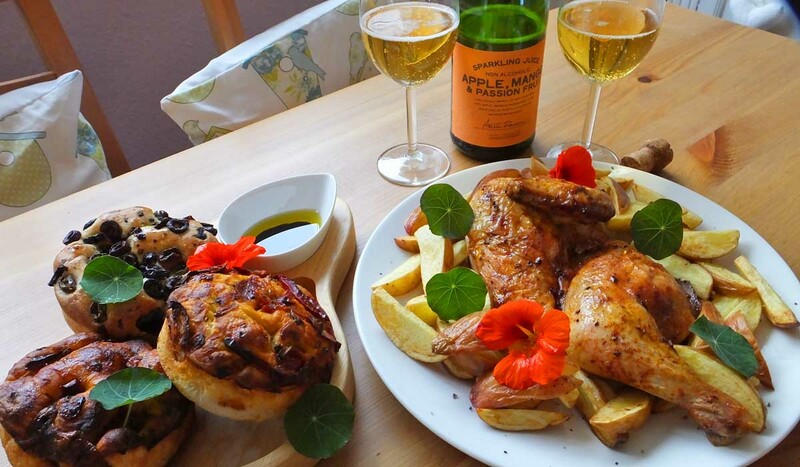 While it’s always rewarding to taste the fruits of your labour, this half roast chicken saves you the time of marinating and preparing your chicken. Simply pop it into the oven; cook, serve and enjoy. 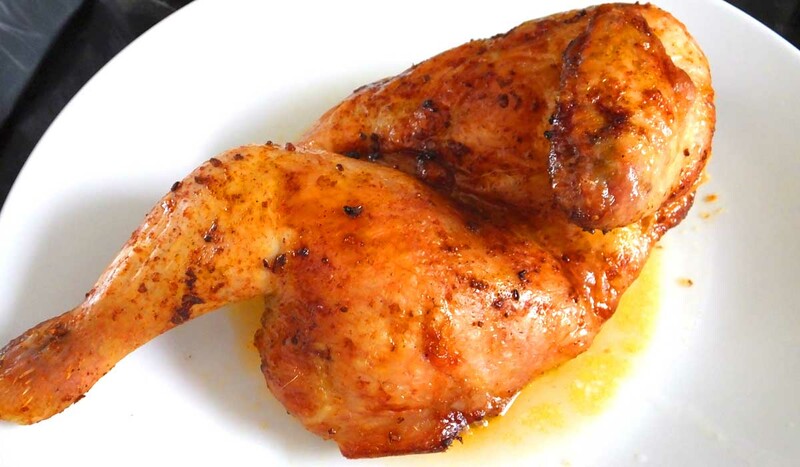 The beer can marinade helps to keep the chicken nice and moist, something that can often be a challenge when buying packed chicken. 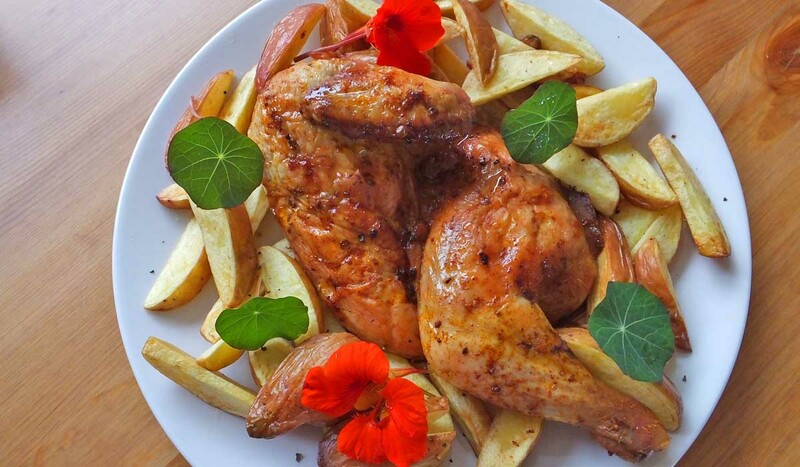 We served our half roast chicken with some home-cut chips from our own batch of homegrown potatoes, along with some edible flowers from our herb garden. We’ve previously shared with you a yeast free foccacia bread recipe and this tasty trio from M&S is a great way to kick off any meal. 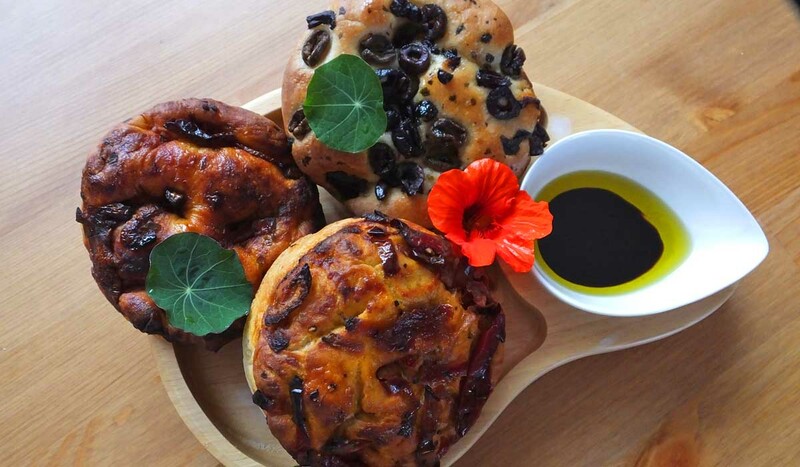 The delicious trio of focaccia buns includes one with harissa peperonata, one with mixed olives & coriander and another with dark soy, balsamic onion & tomato – 3 recipes we are going to be trying to replicate ourselves in the coming weeks. We served a dip of balsamic vinegar and olive oil with the breads. 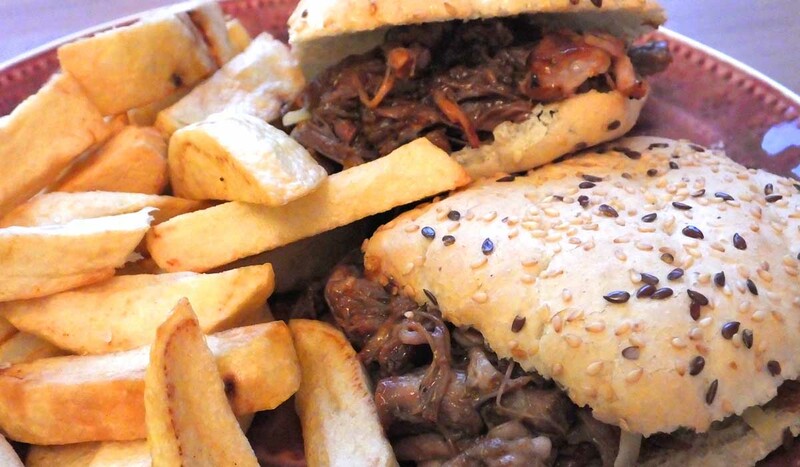 Pulled pork seems to be all the rage at the minute, finding it’s way onto menu boards in café’s, bars and restaurants up and down the country. This BBQ pulled pork from M&S is a bit of a cheats way to enjoy the real thing but it is packed with all the flavour you would expect from pulled pork. Have you sampled the M&S Summer of Flavour Range? The summer may have come and gone, and all eyes are pointed towards Christmas, but did you manage to sample any of the M&S Summer of Flavour range products over the past few months? We’d love to know what you thought of them and what was your favourite. Let us know by commenting below or connecting with us on Facebook and Twitter.